Revive the rugged spirit of the Old West with this traditional steer statue. 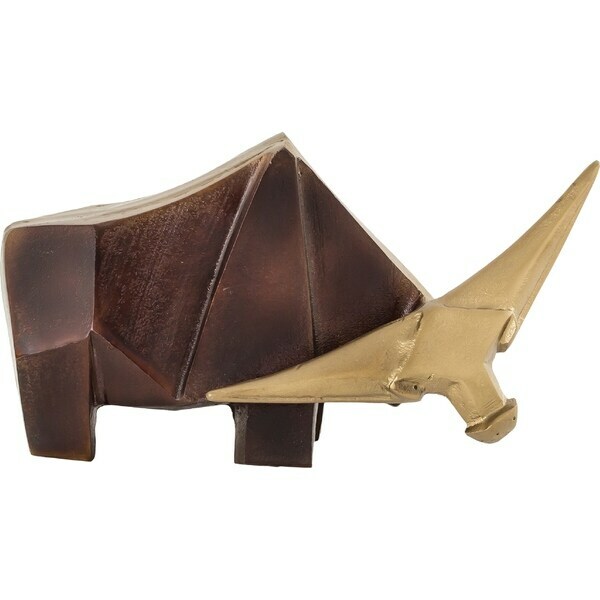 The aluminum animal figurine pairs an angular bronze body with brass bull head in an impeccable mix of metallic finishes. An industrial interpretation of a cow, the sculptural shape of the decorative statue adds character and charm to farmhouse-inspired spaces. Dimensions 5.0 In. X 12.5 In. X 6.25 In. Aurelle Home Cello Large Gold Resin Wolf Statue - 14" x 4" x 8"